Vissum is a centre of excellence in corneal transplants in Madrid. It is authorised by the National Transplant Organisation, and it is the private ophthalmological centre that carries out the most transplants per year in Madrid. It is a pioneering ophthalmologic centre in Spain introducing new surgical techniques, including the first anterior lamellar corneal transplant and the first endothelial keratoplasty in 2009. A team of ophthalmologists, who are highly specialised in diseases of the cornea, apply the recommended techniques and treatments in each case, supported by the latest technology, especially lamellar transplants including the SALK, DALK, DSAEK or DMEK procedures. What does a corneal transplant, or keratoplasty, involve? The cornea is the transparent part of the eye in front of the iris, pupil and anterior chamber. It has both a protective function, as it isolates the inside of the eye from external agents (trauma, foreign bodies and bacteria, etc. ), and a visual aspect, as it functions as a lens that provides two thirds of the eye’s focusing power. A corneal transplant consists of the replacement of a diseased cornea, usually due to alterations in its shape or transparency, by a healthy cornea. Depending on the disease and the degree of corneal damage, either a partial (or lamellar) transplant will be performed (when the impairment of the cornea is not complete and there are healthy layers) or a complete or penetrating transplant (when the disease extends to all layers of the cornea). Which corneal diseases can be treated with a transplant? What kind of surgery is applied in each case? The cornea is comprised of a number of layers: the corneal epithelium is a transparent overlying skin, the corneal stroma is the thickest part of the cornea and it has a structural function, and the corneal endothelium is a single cell layer whose function is to provide the cornea with the appropriate degree of hydration thus avoiding oedemas and swelling. Different techniques are applied depending on how the disease or defect has affected the different parts of the cornea. 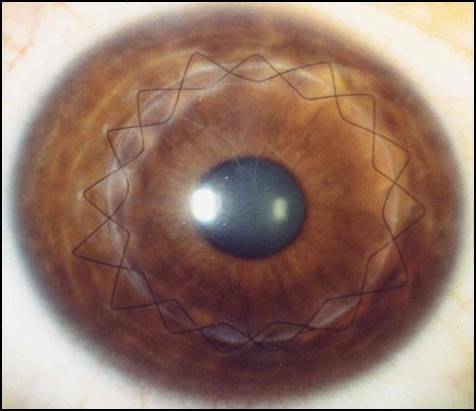 When the outermost part and the stroma are affected, whether superficially or more profoundly, an anterior lamellar transplant can be performed to only replace the diseased stroma and leave the rest of the cornea untouched. This reduces the risk of intraocular infection or rejection and the eye has greater resistance. When the anterior lamellar transplant is superficial it is called SALK and when it is deep it is called DALK. Anterior lamellar transplants can also be performed following damage resulting from keratoconus and other deformations of the cornea, stromal corneal dystrophies or scarring left after infections. Surgery that only transplants the endothelial cell layer (known as DMEK, Descemet’s Membrane Endothelial Keratoplasty). Only recommended in cases that are not very advanced, with good eyesight and an eye that is internally normal, since it provides sharper vision, induces less astigmatism, and has less risk of rejection. Surgery that transplants the corneal endothelium attached to a 100-micron stromal lenticule (known as DSAEK, Descemet’s Stripping Automated Endothelial Keratoplasty). Recommended when eyesight is poor, or the eye has other internal problems, DSAEK surgery is safer and easier than a full transplant and it also achieves good visual results, and low rejection rates. 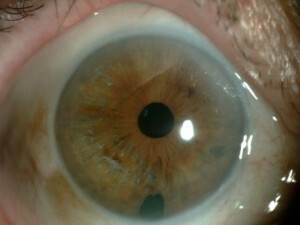 This technique is applied in cases of Fuchs’ dystrophy, corneal oedema after intraocular surgery, or previous unsuccessful corneal transplants. 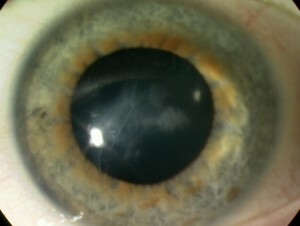 Full corneal transplantation is performed when all the corneal layers are affected, such as with deep scars from perforating trauma, keratoconus or highly developed corneal dystrophies, deep corneal infections, or previous corneal transplants that have failed and not only affect the corneal endothelium. In these cases, the entire thickness of the patient’s cornea is replaced with a healthy donor cornea. How long is the recovery for the patient? Patients have a very different recovery period depending on the technique used and the type of transplant. The recovery period after endothelial transplantation (DSAEK or DMEK) takes one month to regain eyesight suitable for daily tasks, but the best visual acuity is achieved two months after surgery in cases where it was necessary to use stitches in the main incision. The surgery is performed with retrobulbar anaesthesia and it does not require hospitalisation meaning that the patient can go home after a few hours. The patient should rest lying on their back for the first two days to facilitate adhesion of the corneal graft. The success rate is very high provided the cases are properly selected. In the case of superficial anterior lamellar keratoplasty, the recovery period is also very fast and the stitches are removed between the 6th and 8th week. The surgery is performed with retrobulbar anaesthesia and it does not require hospitalisation meaning that the patient can go home after a few hours. For deep anterior lamellar keratoplasty or penetrating keratoplasty, the recovery period to return to normal activity is usually 3 to 4 weeks, but the stitches will remain in the eye for about a year, so visual acuity will be variable until their removal. The surgery is performed with retrobulbar or general anaesthesia depending on the case and, as in the case of the previous techniques, it does not require hospitalisation so the patient can go home after a few hours.